Instruct provides access to state-of-the-art infrastructure and technology to support research in structural biology. Our aim is to encourage and facilitate the integrative use of technologies and methodologies that are available at our 16 Instruct Centres around Europe and in Israel. The Instruct Internship Programme funds research visits of 3-6 months duration to Instruct Centres. Internships cover travel plus subsistence of the intern for pre-doctoral early stage postdoctoral fellows. They facilitate valuable collaborations with Instruct research groups applying techniques that are not available in the applicant’s laboratory and the longer duration of awards allows interns to gain in depth experience in the host laboratory. Submissions should specifically focus on the benefit to the applicant’s research. 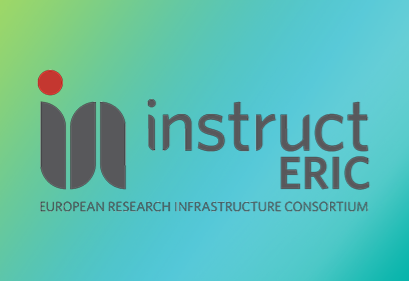 Instruct has allocated funds to support small pilot research and development projects in any area of structural biology up to a maximum of EUR15,000 per project. Projects should propose basic or applied research which is preliminary in nature with an expectation of collecting data that may be included in support of an application for more substantial funding through conventional routes. Projects that include technology and/or software development are encouraged. All submissions must include the use of technologies available at Instruct Centres through the Instruct access process. Deadline for Internship submission is 5pm CET, Wednesday 31st August. Deadline for R&D submission is 5pm CET, Friday 30th September. Applicants must be registered on the Instruct website and be resident in an Instruct member country. The call submission forms and further information are available on the Instruct website. Alternatively if you need additional help you can contact us directly at admin@structuralbiology.eu.